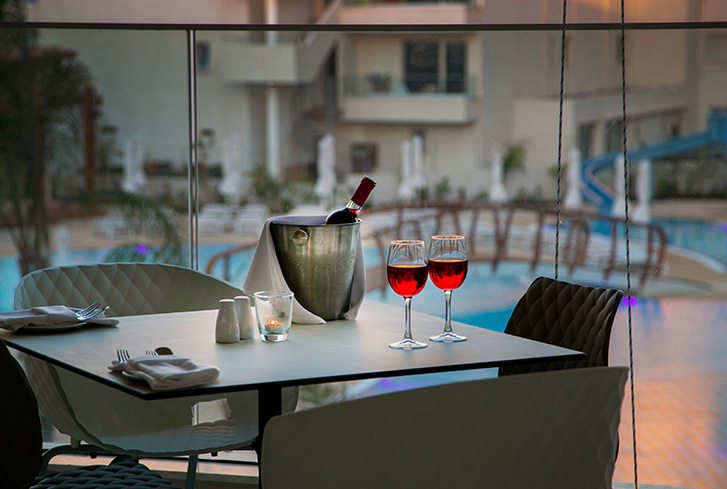 Cypriot hospitality is legendary and is reflected in both the quality and service we provide. 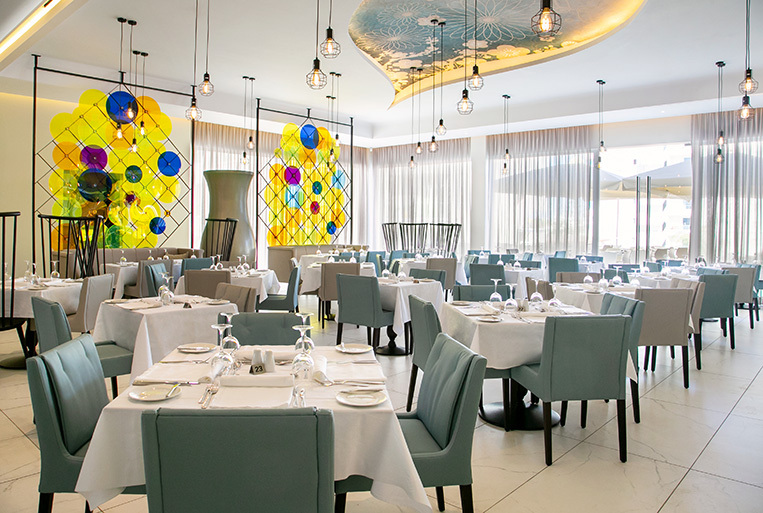 Savour local delicacies or international cuisine at one of our three top class restaurants. 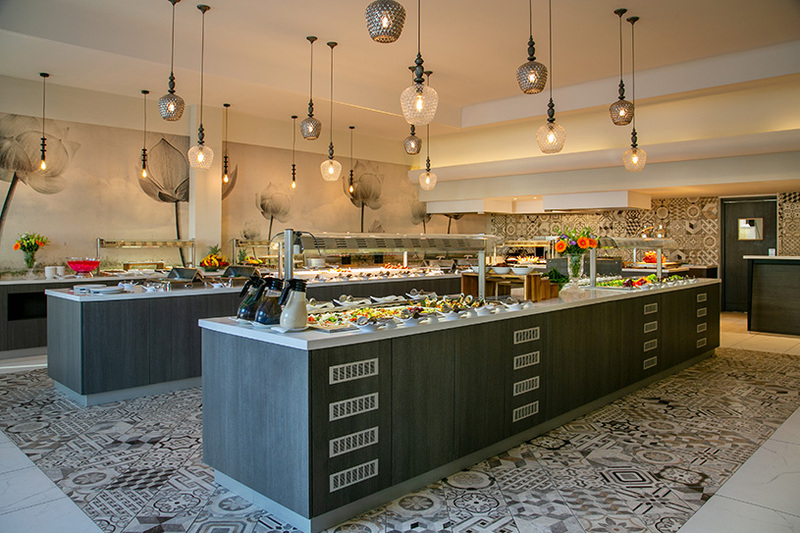 You will be amazed at the sumptuous buffet on offer at breakfast, lunch and dinner. 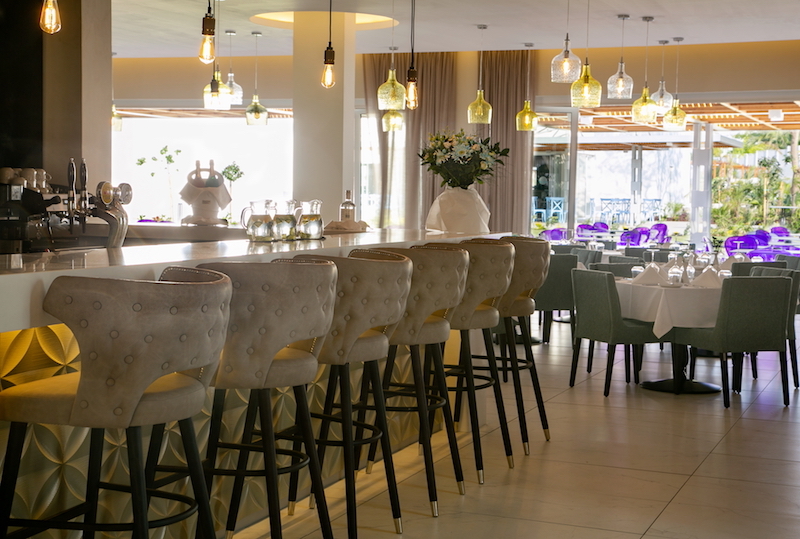 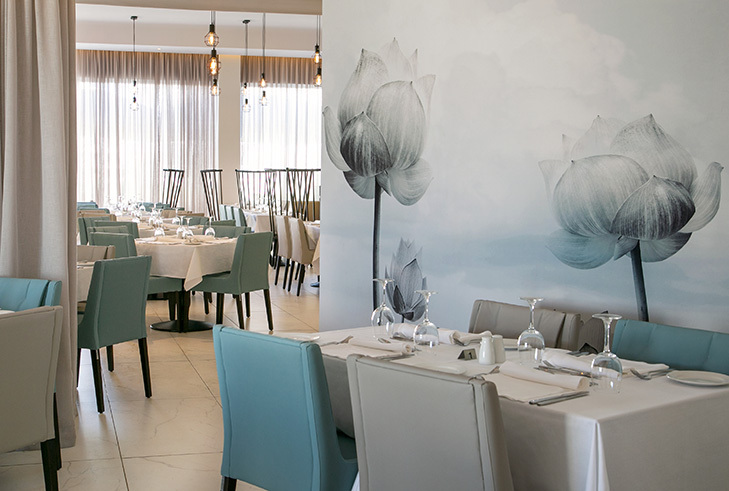 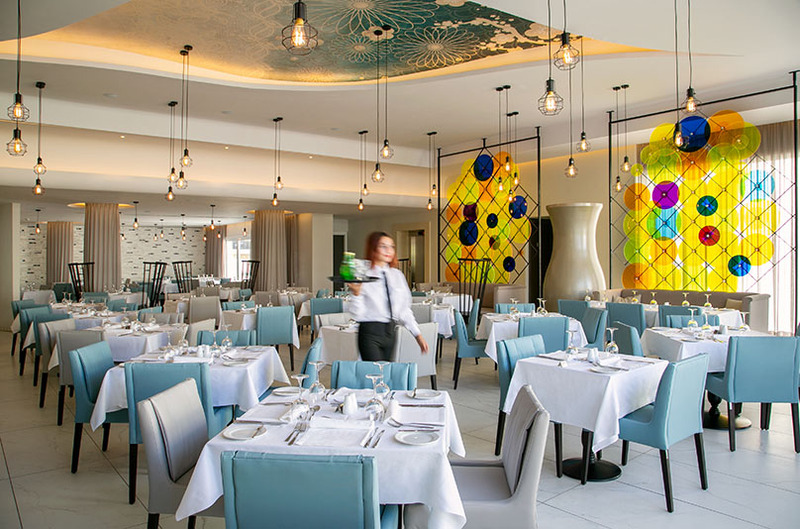 Dinner is based on a different culinary theme every evening, or go a la carte with gourmet Mediterranean at our specialised fine dining restaurant. 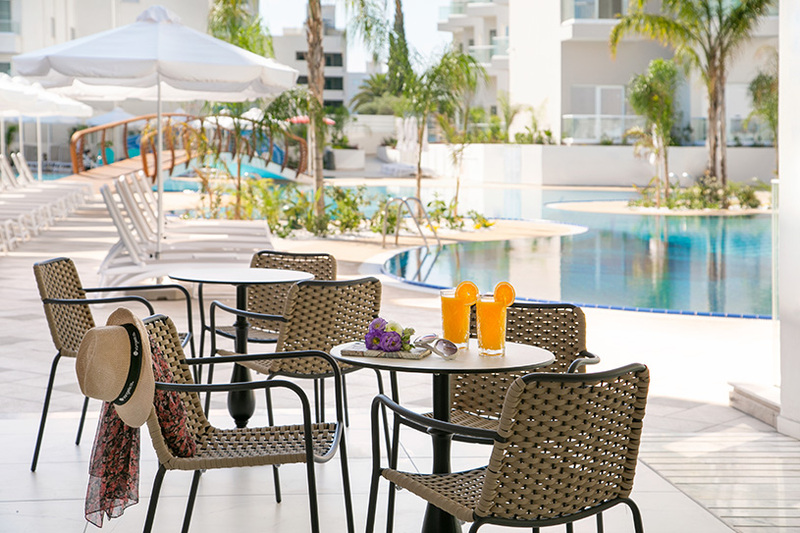 With an all-inclusive package you can take advantage of practically all the hotel’s restaurants and bars. 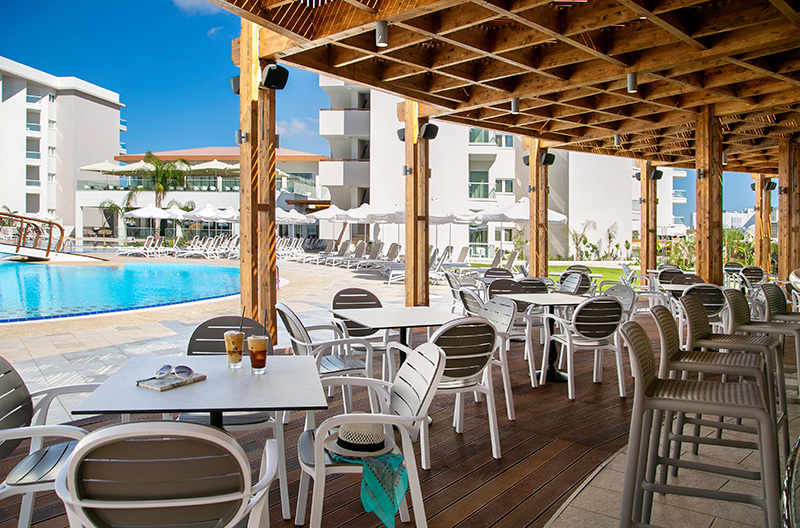 Have a light meal at the pool tavern or relax at one of several bars and lounges. 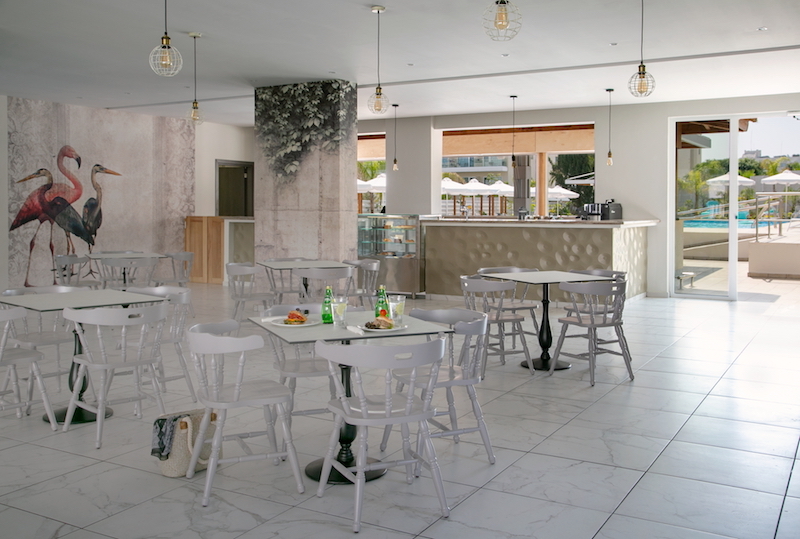 Enjoy a cup of freshly roasted quality coffee, snacks and desserts at the coffee bar, or sip a cocktail or two at one of three different bars. 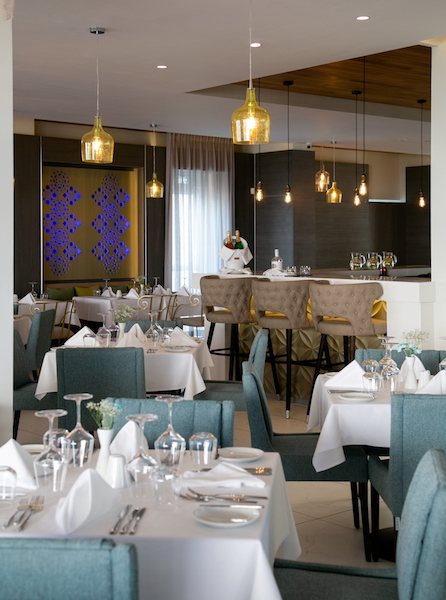 If you want to spend a whole day out, we’ll even prepare you a lunch basket to take with you. 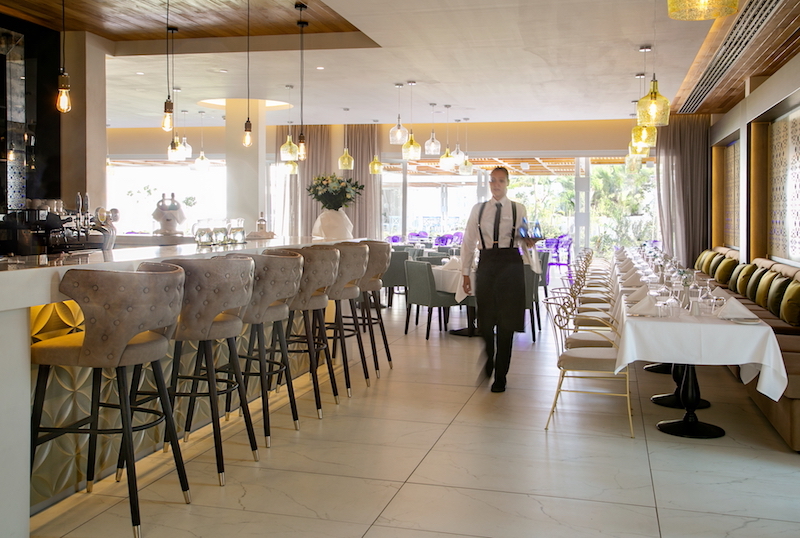 Incredible food, an extensive wine list and superb service in a welcoming atmosphere, what more can anyone want? 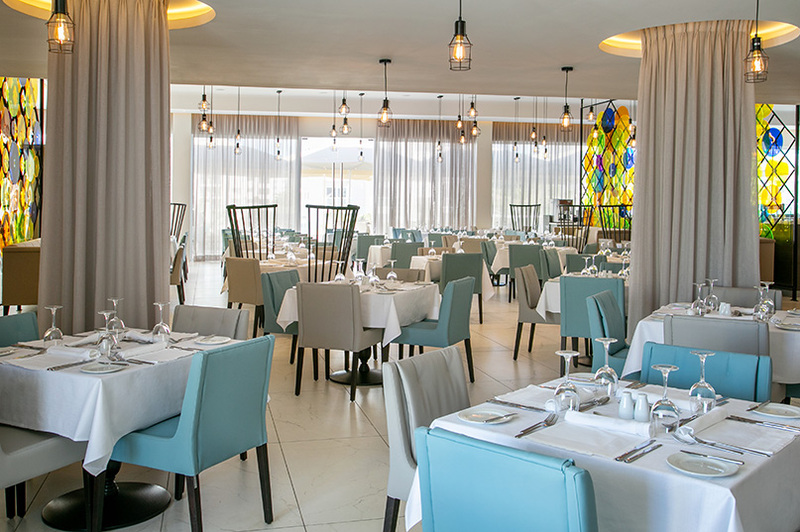 The hotel’s main restaurant offers a wide choice of buffet style meals catering for all tastes with themed dinners including Cypriot or Greek, Italian, and international nights. 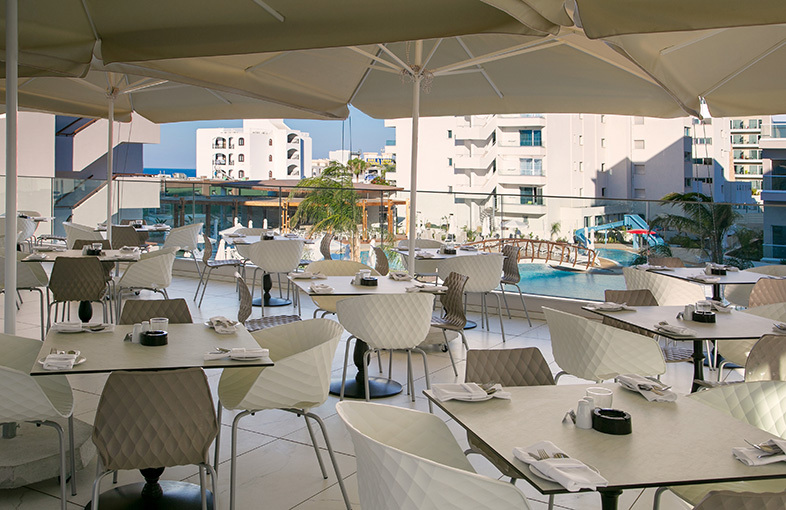 Enjoy a cool refreshment while basking in the sun or allow your kids to indulge in unlimited ice cream. 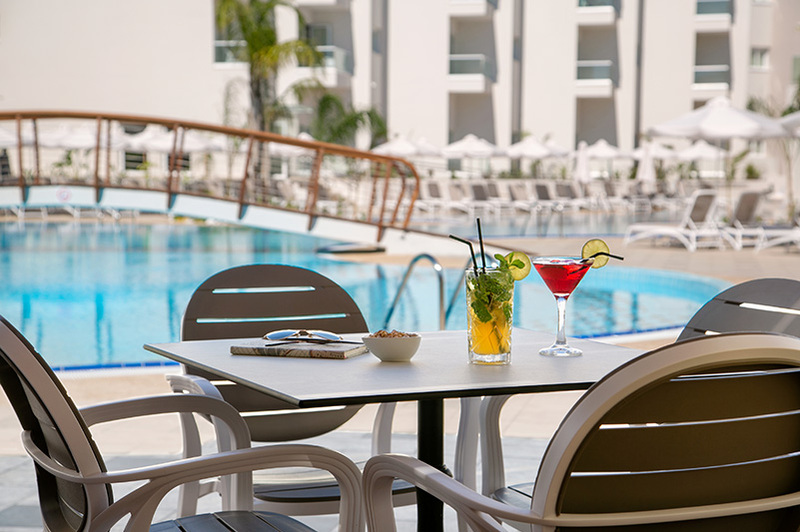 The bar offers a large selection of soft and alcoholic drinks served in a calm and relaxing ambiance, with entertainment in the evenings with live performances and shows. 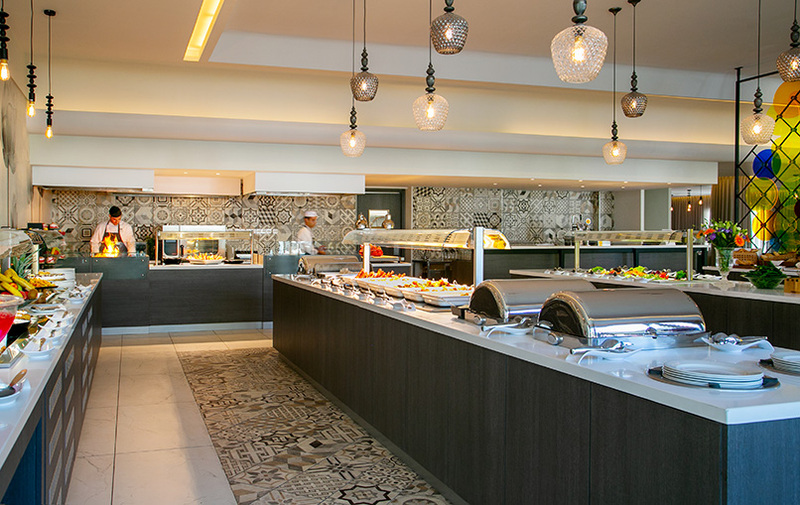 Serving quality coffee, beverages, hot and cold snacks and desserts. 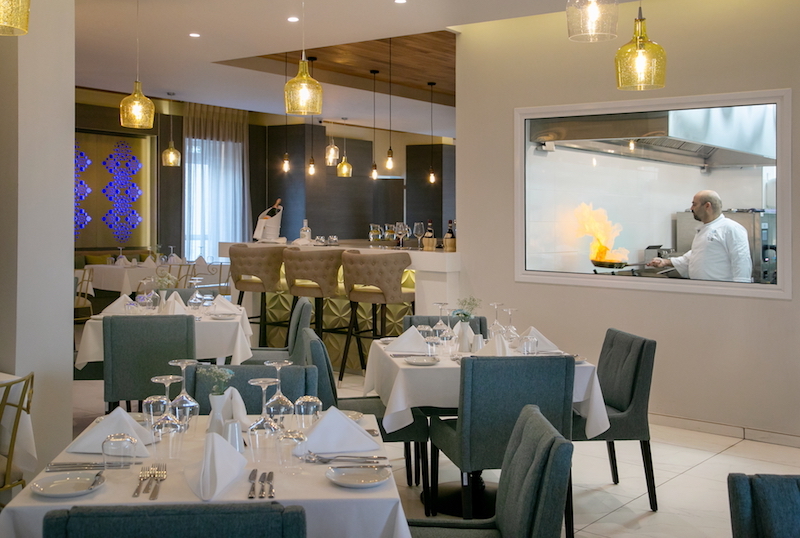 This fine dining experience offers the best in fresh Mediterranean food using the finest ingredients for which the island is famous in elegant surroundings. 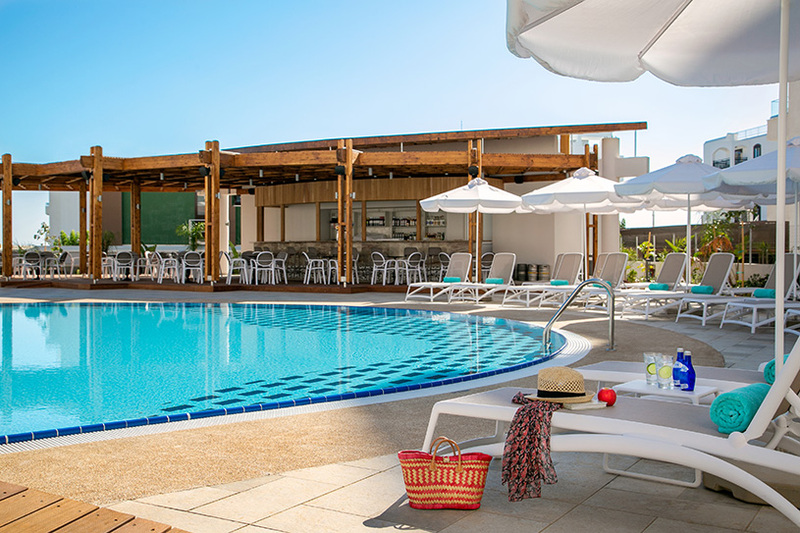 Included in the All-Inclusive Package once per stay with reservation.